Basheva survey gives slight advantage to HaYamin HeHadash over Jewish Home, but respondent confidence in choice very low. A survey conducted by the Ma'agar Mochot Institute published this morning in the Basheva newspaper examines the effect of the explosion within the Right on political positions of the national-religious sector. 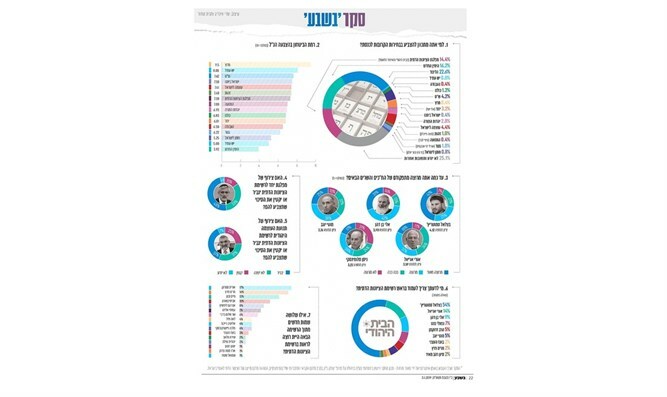 22.6% said they would vote for the Likud, 16.2% said they would vote for HaYamin HeHadash (New Right) party, 14.4% said they would vote for the religious Zionist list (Jewish Home and National Union), 4.4% said they would vote for Otzma L'Yisrael party, 4.2% said they would vote for Shas, 3.2% would vote for Eli Yishai's party, 2.8% would vote for United Torah Judaism. However, there is a large gap in confidence answering who people would vote for among leading parties in the sector. Respondents were asked to rate the level of confidence in their response from 1 (lowest) to 10 (highest). Respondents who vote Likud expressed a median confidence level of 8.08. Respondents who said they would vote for the religious Zionist list (Jewish Home and National Union) expressed a confidence level of 7.3, while those responding they would vote for the New Right party expressed a confidence level of only 3.92. Respondents saying they would vote for the religious Zionist list were also asked, "Who do you think should lead the religious Zionism list?" The question was open and no multiple-choice answers were provided. 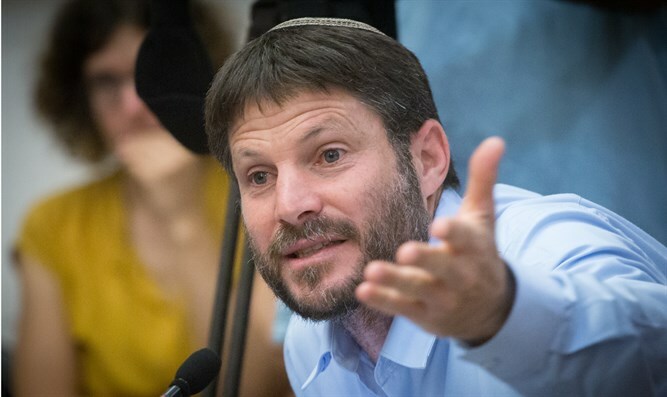 54% answered Betzalel Smotrich, 14% answered Uri Ariel, 9% answered Eli Ben Dahan, 7% answered Naftali Bennett, 5% answered Rabbi Chaim Druckman, another 5% answered Moti Yogev, 2% answered Boaz Haetzni, and a similar percentage supported Miriam Peretz and Sivan Rahav Meir. The survey was conducted online this week by the Maagar Mochot Interdisciplinary Research and Consulting Institute under the direction of Prof. Yitzhak Katz, among a random sample of 502 respondents, covering a representative sample of the national religious public in Israel.